This pristine wilderness is the native habitat of the Grizzly Bear. 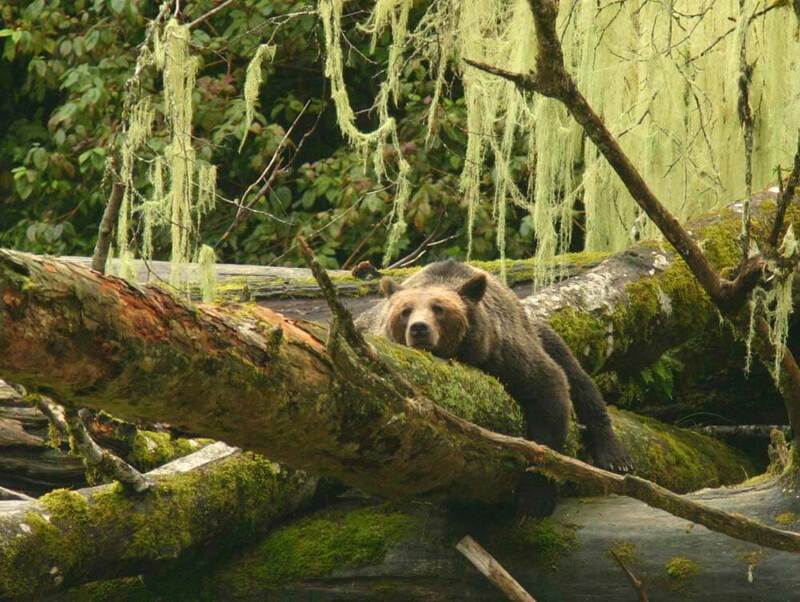 Every spring, when the bears come out of hibernation, they can be seen from a boat on the banks of Glendale Cove eating sedge grasses, mussels and barnacles that abound in the cove. In the fall, the bears feed heavily on the returning salmon to the Glendale River and can be seen in large numbers from the specially constructed viewing platform. 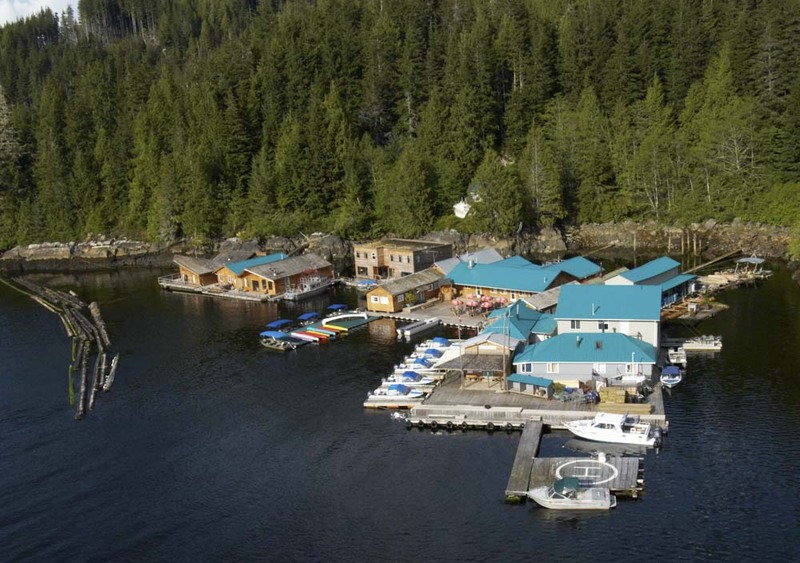 Situated sixty kilometres from the mouth of the inlet is Knight Inlet Lodge. The floating lodge is tucked into Glendale Cove, which offers one of the few protected anchorages in the inlet, and it is here that you will begin each days adventure. The lodge is an assortment of construction styles dating from the early 1940s, when the original float housed a logging camp. Recent construction provides modern buildings for guests accommodation. 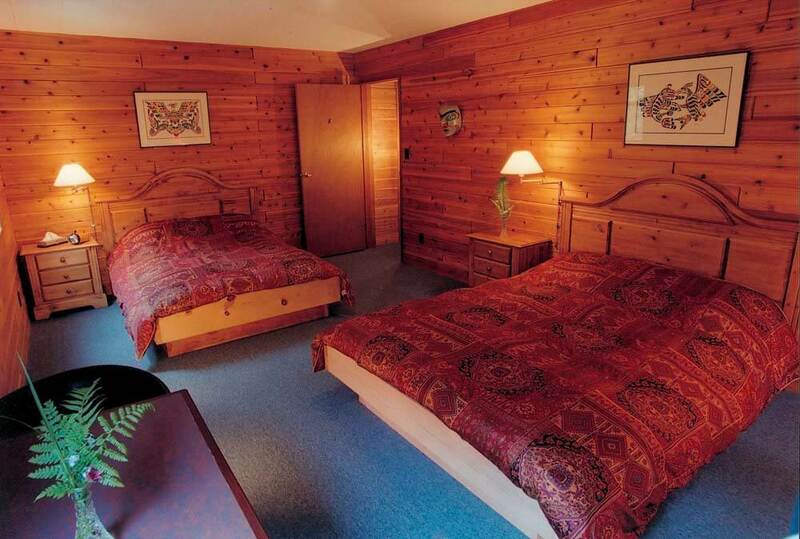 In the Palace, the Native House and the Lair, all of the rooms are cedar panelled and have private bathrooms. Most of the guest buildings have lounges with wood burning stoves for relaxing in the evening or on a cool day. 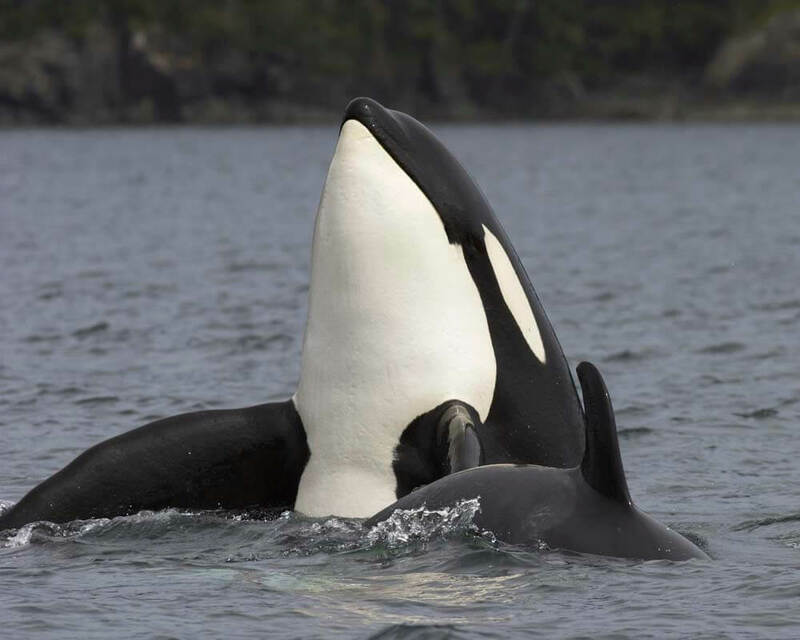 Knight Inlet offers a three, four or five day packages. Four or five day packages will include extra bear viewing trips, interpretive hike of the Kwalate River Valley, Wildlife tracking to make plaster casts of animal prints and excursions for Bald Eagle viewing and other bird life.